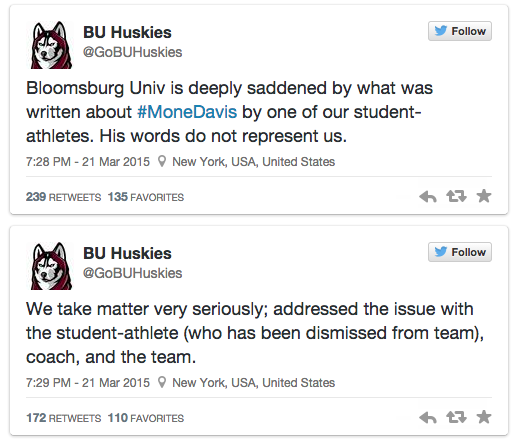 Bloomsburg University Suspends Player over Mo’ne Davis Tweet: What Does it Mean? Bloomsburg University announced the dismissal of Joey Casselberry, sophomore first baseman after a vulgar tweet about Little League World Series star Mo’ne Davis. 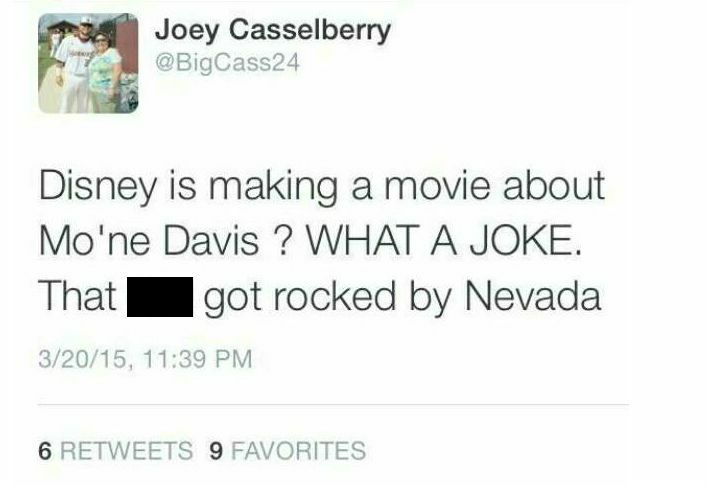 Casselberry is referring to Davis’ loss to Nevada in the Little League World Series. Bloomsburg University decided to dismiss the player over the vulgar, negative comments posted on social media. This University, located in Bloomsburg, PA, took a very strong stance over the player’s personal opinions on his social media account. The Huskies show its support for Davis in their formal apology as well as the social media apology. He claims he is a fan of Davis, when yet his previous words stated otherwise. What does this mean for young women? Is this a step on the right direction for young girls? Is this Bloomsburg University’s unofficial way to support women in sports? Or am I reading too much into this? What effects will this have on a small or large scale, or if any at all? I’d love to hear your thoughts.